Financially Clean were recognised at the 4th Annual Atlantic Yards/NETS/DBNA Community Foundation & the DBNA Capacity Building Program Awards Ceremony for their work in providing educational programs to promote economic self-sufficiency, literacy and understanding of personal finances and investments through their workshops and seminars. 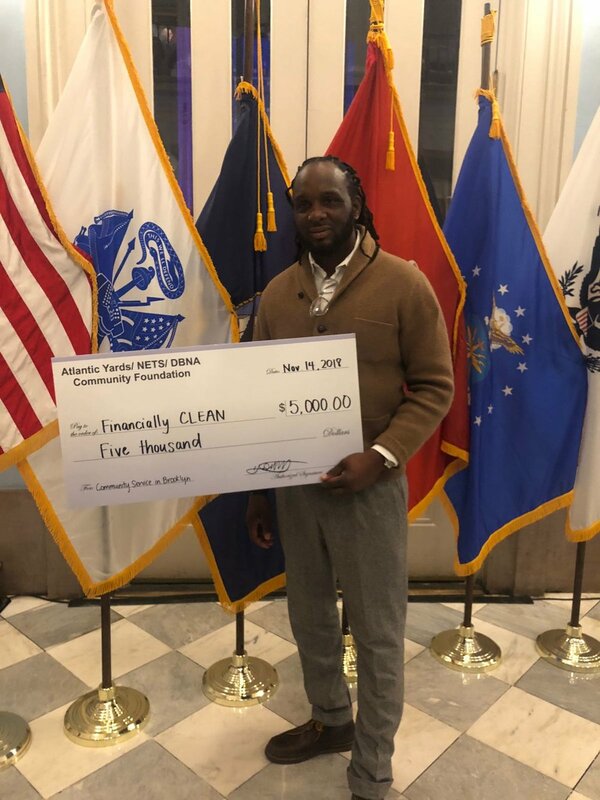 The Atlantic Yards/NETS/DBNA Community Foundation presented an award and grant of $5000.00 to assist with continuing efforts of Financially Clean. Shaun Lynda and Dionne Nicholls accepting award. Co-founders Shaun Lynda and Dionne Nicholls gratefully accepted the award at a ceremony held at Brooklyn Borough Hall on Wednesday November 14th, 2018. The Atlantic Yards/NETS/DBNA Community Foundation, Inc. is a private foundation committed to strengthening Brooklyn’s economic and social fabric by addressing the needs of residents and businesses in underserved communities. The goal of The Foundation is to support not-for-profit organizations which actively foster economic self-sufficiency through workforce development and business skills training, as well as through prison re-entry initiatives; youth, child, and health services programs; and, environmental sustainability efforts.